Drivers along Interstate 395 may experience some delays Monday morning after two police cruisers were involved in a crash. 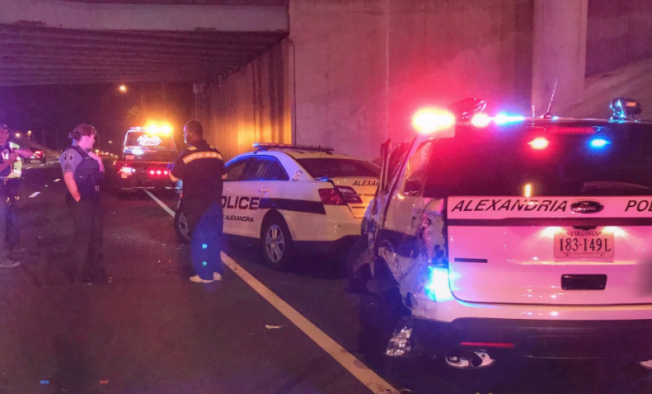 Alexandria police say the cruisers were struck by a third vehicle in the northbound lanes of I-395. The crash happened near the Seminary Road exit. There were no serious injuries, police say. At one point, two lanes were closed to traffic. Drivers are advised to use caution in the area.